During the months, between mid-October and mid-April, the temperatures are moderate and the sky is blue – those are the best months to visit Dubai. From mid-April to mid-October the temperatures rise as does the humidity. For most people this means going from an air-conditioned hotel to an air-conditioned taxi to an air-conditioned shopping mall. Another thing to keep in mind is that during the Muslim period of Ramadan, many businesses have limited hours during the day and restaurants do not open until night time. January is the coldest month of the year in Dubai with an average low temperature of 57°F (14°C) and an average high temperature of 73°F (23°C). Even sea temperatures are at the lowest of year at a cool 70°F (21°C). In February, both the low temperature average and high temperature averages see a 2-degree increase rising to 59°F (15°C) and 75°F (24°C) respectively. Dubai sees the most rainfall during this month as well with a precipitation average of 40 mm. Dubai Weather in March: The temperatures continue to rise in March with the average high temperature rising significantly to 81°F (27°C). Similarly, the low temperature average also sees an increase to 63°F (17°C). April receives one of the lowest precipitation rates of the year with just 10 mm of rain to be expected. The low temperature average and high temperature average measure in at 68°F (20°C) and 90°F (32°C) respectively. In May, days are beautifully sunny with 11 hours of daily average sunshine. This is matched by warmer temperature averages with 75°F (24°C) as the low temperature average and 99°F (37°C) as the high temperature average. Dubai Weather in June: The heat is one for Dubai in June with the average high temperature hitting 3 digits at 100°F (38°C). It’s also the sunniest month of the year with a whopping 12 hours of daily average sunshine hitting this Middle Eastern country. The evenings and early mornings receive a respite from the heat with an average low temperature of 79°F (26°C). July sees even warmer temperatures as Dubai’s summer continues. The average high temperature reaches a hot 104°F (40°C) while the average low temperature sees a 5-degree jump to 84°F (29°C). In August, the temperatures are the hottest of the year with the high temperature average increasing further to 106°F (41°C). The low temperature average increases at the same rate to 86°F (30°C). With the high heat, this is definitely the best month to hit Dubai’s gorgeous beaches as sea temperatures hover at 91°F (33°C). Dubai Weather in September: There is a slight respite to the heat in September with the average high and average low temperature decreasing to 100°F (38°C) and 81°F (27°C) respectively. October sees just tiny bit of rainfall as summer finally ends with a precipitation rate of just 10 mm. The average low temperature takes a dive to 73°F (23°C) while the average high temperature sees a 5-degree decrease to 95°F (35°C). In November, the days are lovely and sunny with 9 hours of daily average sunshine. The low temperature average continues its quick downward decrease to 66°F (19°C) while the high temperature average sinks to 88°F (31°C). Dubai Weather in December: With Christmas time drawing even closer, Dubai’s weather continues to drop in December. The average high temperature sees a nearly 10-degree drop to 79°F (26°C) while the average low temperature decreases by 5 degrees to 61°F (16°C). Precipitation rates see a small increase to 20 mm. In general, Dubai only experiences two seasons out of the year – winter and summer, or, as locals would put it, a hot season and a hotter one. The best time to visit is in between the months of November to March wherein the city sees some of the bluest skies and most ideal beach weather. During this time, the beaches are packed but exquisite. Additionally, the city enjoys some of its top festivals of the year during this time such as the Al Marmoom Heritage Festival, the Dubai International Film Festival and the Dubai Shopping Festival. The lowest hotel prices of the year come in between April and October, but it’s important to note that this is also the hottest time of the year and makes outdoor activities nearly impossible. Most travelers will arrive at the Dubai International Airport. This is the world’s busiest airport by international passenger traffic: there are more than 7,000 flights per week; 125 airlines fly in and out of the Dubai International Airport; and flights leave from this airport for 260 destinations on every continent except Antarctica. Emirates Airline is the official airline of Dubai. Dubai is also a major cruise line destination, so many people arrive by ship to explore the city. There are bus services from Jordan, Lebanon, Oman, and Syria. 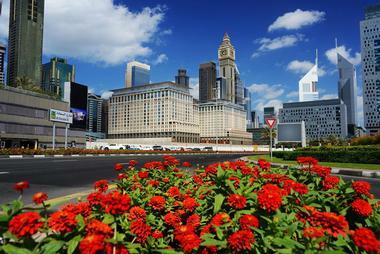 Visitors can also approach Dubai by rented car from one of the neighboring countries. The Dubai International Airport provides several ways to get into the city. The air-conditioned Dubai Metro trains run about every 10 minutes from Terminals 1 and 3: this is a fully automated driverless metro system that, with 47 miles of tracks, is the longest of its kind in the world. There are bus stations located across from Terminals 1, 2, and 3: this connects the airport with the city. Another option is to use the services of a taxi: taxis are metered, efficient, and are not expensive. There is an official taxi rank at each of the three terminals. Taxis are probably the best way to get around the sprawling city of Dubai. They are metered and are cost-efficient as well as being time-efficient. Taxis have tan bodies and red roofs; the taxis with pink roofs are driven by women and passengers are restricted to women and families. Dubai’s driverless Metro system is also a good way to get around. It consists of several lines and fares are based on a zone system. The bus system operates 75 routes within Dubai and 15 inter-emirate routes. Boats are an important part of Dubai’s history and culture - they are used to cross Dubai Creek. Dubai is working to make itself a cycling city, so some visitors might want to try out some of the many bikeways in the central business districts as well as in some of the residential neighborhoods. Dubai has grown so quickly over the years and along with this growth comes a huge variety of restaurants and cuisines. Emirati cooking seems rather bland when compared with the dishes of other cuisines such as Lebanese or Moroccan. The fine dining restaurants are found in hotels because these are the only places that are allowed to get a license to serve alcohol. Although casual clothes are accepted at the better restaurants, beach wear is not. 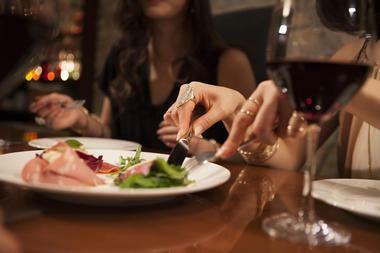 Restaurants usually serve lunch between noon and 3 pm and dinner between 7 pm and midnight. Friday brunch is a long-standing tradition in Dubai. Dubai is one of the world’s premier shopping destinations. Tourists should first explore the souks, or markets, in the old part of the city, near Dubai Creek. Here you can visit the gold souk, the spice souk, and the textile souk. After that it’s time to head to one of Dubai’s many shopping malls. 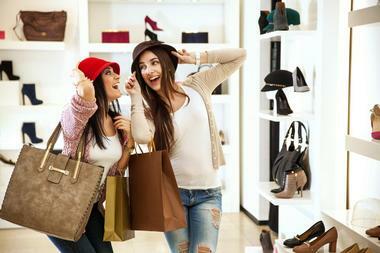 Dubai Mall is the largest shopping mall in the world, so be prepared to do some walking and spending some money. The Ibn Battuta Mall is another huge shopping complex complete with stores as well as an indoor ski mountain and a huge aquarium where you can swim with sharks. 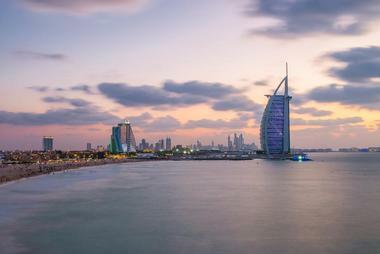 Dubai is a sprawling city and is made up of many different neighborhoods. For tourists, Bur Dubai is one of the first to explore. Here you’ll find the Sheikh Saeed House and the Heritage and Diving Village. Further along you’ll find the Dubai Museum housed in an old fort, and the Bastakiya historic area with its wind towers. Across Dubai Creek is Deira, the oldest and busiest neighborhood in Dubai. Here are several souks, many hotels, the Dubai Creek and Yacht Club, the Clock Tower Roundabout, and many restaurants and shops. Other neighborhoods include Jumeirah, New Dubai, and the Palm Island. Dubai has many hotels which range from high-end five-star luxury hotels to more modest accommodations. Some of the luxury hotels include the Armani Hotel Dubai, Atlantis The Palm, Burj Al Arab, Grosvenor House A Luxury Collection Hotel Dubai, Jumeirah Al Qasr - Madinat Jumeirah, and many more. 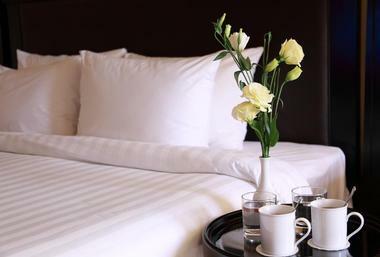 There are also self-catered hotel apartments in many of Dubai’s neighborhoods. Some of these apartments include swimming pools, gyms, and other facilities. Some include a live-in maid and a gourmet chef. 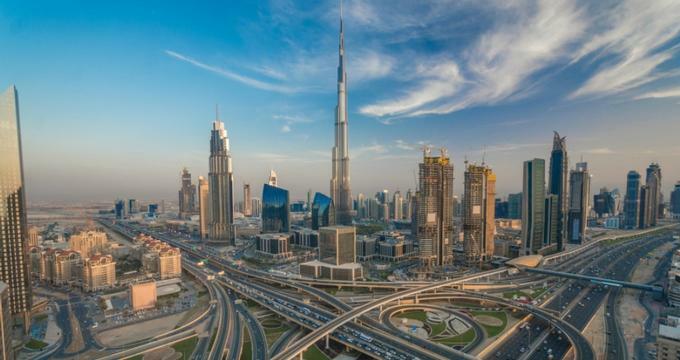 Other accommodations in Dubai include bed and breakfasts, boutique hotels, and quaint guesthouses most of which are located in residential areas of the city.